I like to have fun in the kitchen. But I especially like to play around with recipes for muffins by adding various fruits, vegetables, herbs, seeds and whole grains to the mix. Literally. It’s a fun culinary challenge to come up with different, sometimes wacky and unexpected, flavor combinations. For this recipe, though, I wanted to create something simpler, using the bare minimum of ingredients necessary to create a muffin. 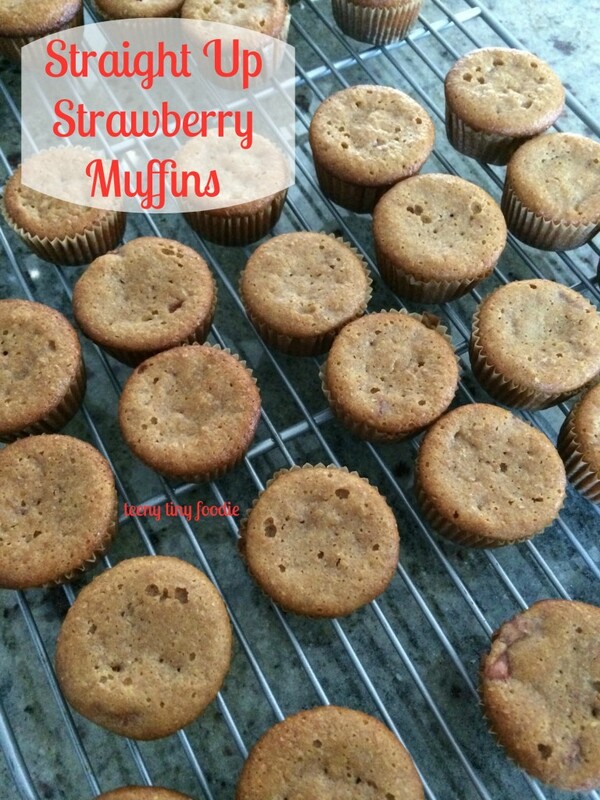 These Straight Up Strawberry Muffins are delicious, easy to make alone or with the help of your teeny tiny sous chef and…they have less than 1 teaspoon of sugar per serving. Why do I care about the amount of sugar in these muffins? I care because sugar is a super sneaky ingredient that shows up in all sorts of foods and consuming too much of it leads to a variety of health problems in kids and grown ups. I’m planning to write more extensively about the evils of over-consuming sugar in a forthcoming post, but for now I want to give you at least some information. Food for thought, if you will… Do you have any idea how much sugar we are supposed to consume each day? I was shocked when I found out. According to Diana Rice, Registered Dietician with The Monday Campaigns, the limit of sugar consumption per day, based on the recommendations of the American Heart Association, should be: 9 teaspoons for men, 6 teaspoons for women, 5-8 teaspoons for teenagers, 4 teaspoons for toddlers and 3 teaspoons for young kids. 1 teaspoon=4 grams. For reference, a blueberry muffin by Entenmann’s has almost 3 teaspoons or 11 grams of sugar. Something to think about as you read the labels at your local grocery store. 1. I used frozen organic strawberries because strawberry season is now over in my neck of the woods. 2. I measured out 1 cup of strawberries, put them into a bowl, covered them with plastic wrap and let them thaw over night in the refrigerator. 3. A benefit of using thawed strawberries is that some “juice” will accumulate in the bottom of the bowl. Add that juice into the wet ingredients. 4. 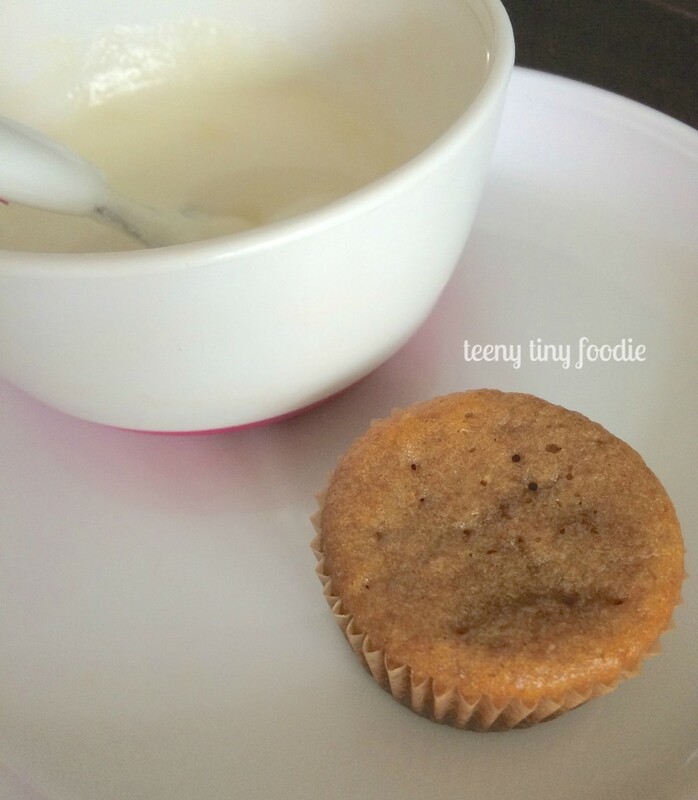 The sugar I used for this recipe was Organic Sucanat which is dehydrated cane juice. You can use dark brown sugar also. 5. I used a mini food processor to sift my dry ingredients. 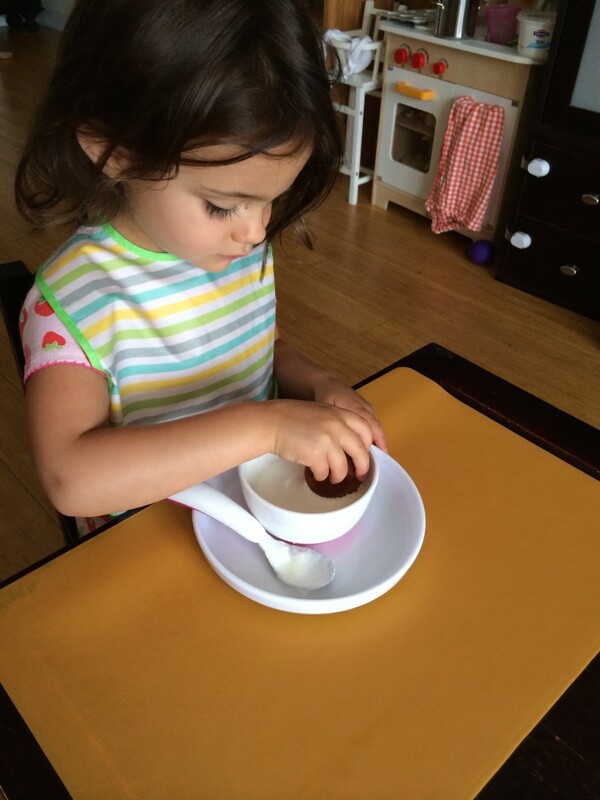 I think this works better than a sieve when using whole-wheat flour. 6. 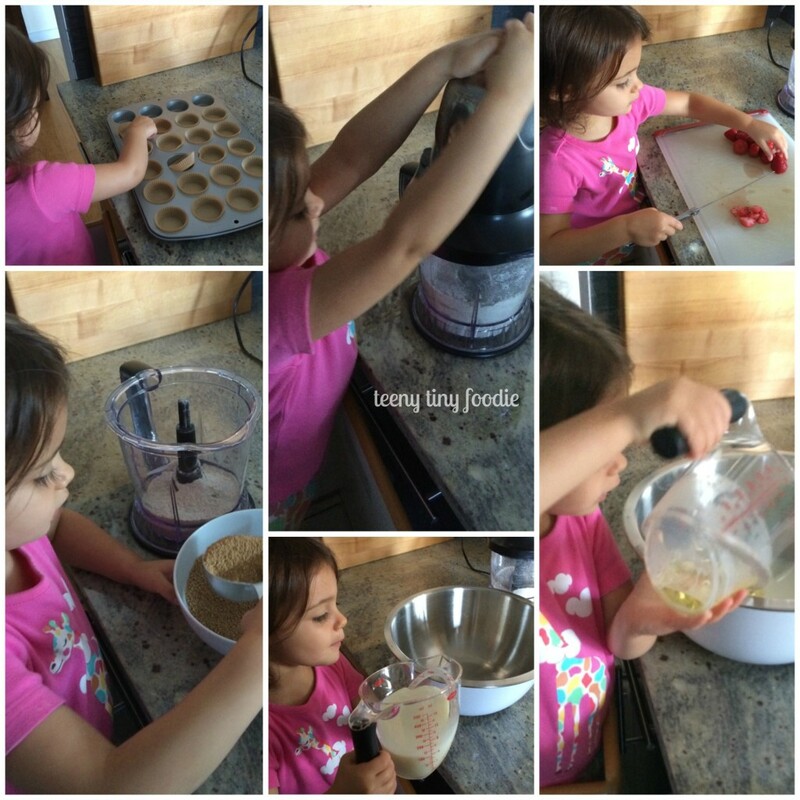 With support, your teeny tiny sous chef can help you by lining muffin tins, chopping strawberries with a butter knife, pouring ingredients into the bowls, pushing the buttons on the food processor, and whisking and measuring out ingredients. Heat your oven to 350°F and line or grease your muffin tins. Sift together the dry ingredients by blending them in a mini food processor. Transfer them to a small bowl and set aside. 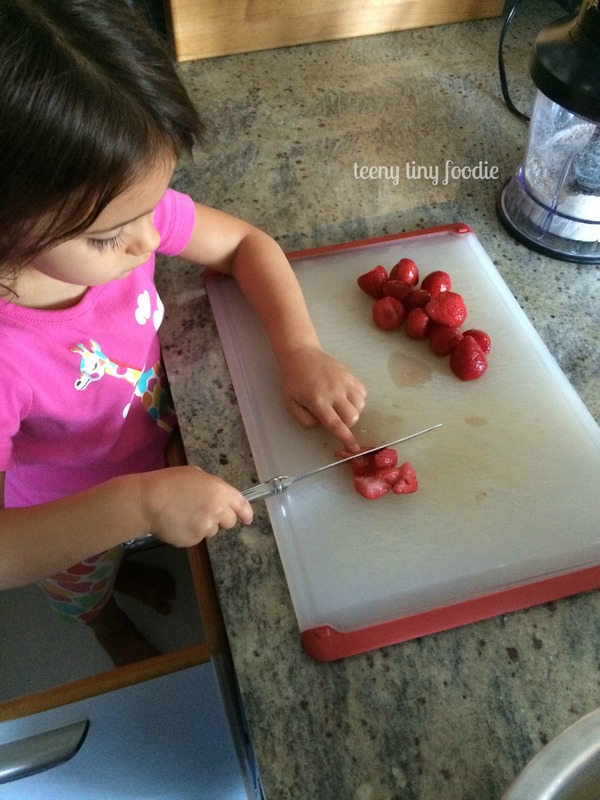 Finely chop the strawberries and set them aside. In a large bowl, combine the milk, eggs, vanilla and oil. Whisk the mixture well until the eggs are evenly distributed. 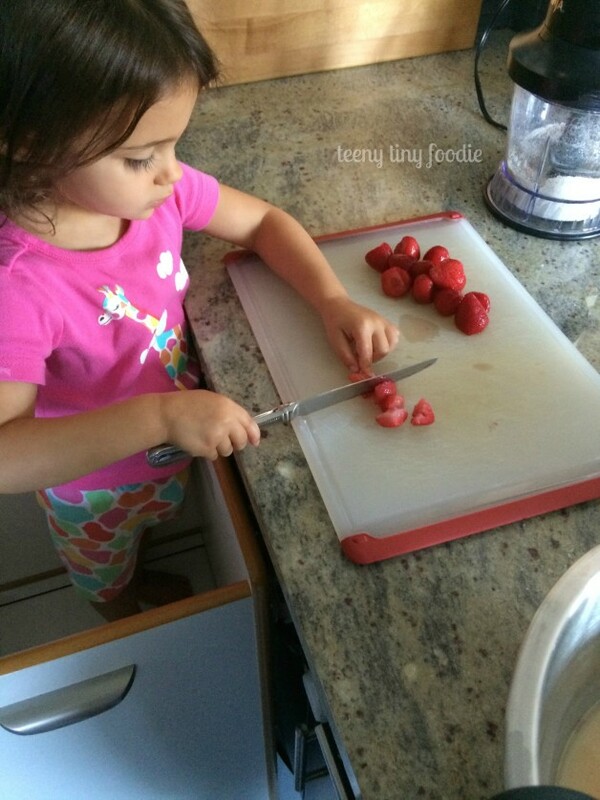 Eliana has been really anxious to use knives and help chop so I let her take over with the strawberries using a butter knife. I chopped them further after she was done but she loved helping out in this more grown-up way. Slowly whisk the dry ingredients into the bowl, just until they are all combined. Don’t over-stir. Mix in the strawberries and residual juice. Pour into muffin tins, filling ¾ full. Bake 30-33 minutes or until a toothpick comes out dry. 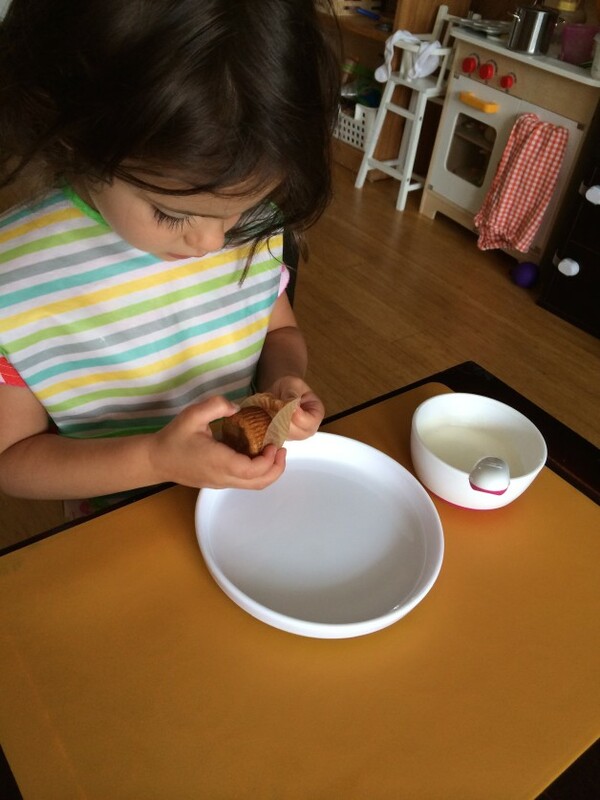 Eliana gobbles these muffins up alone without hesitation. 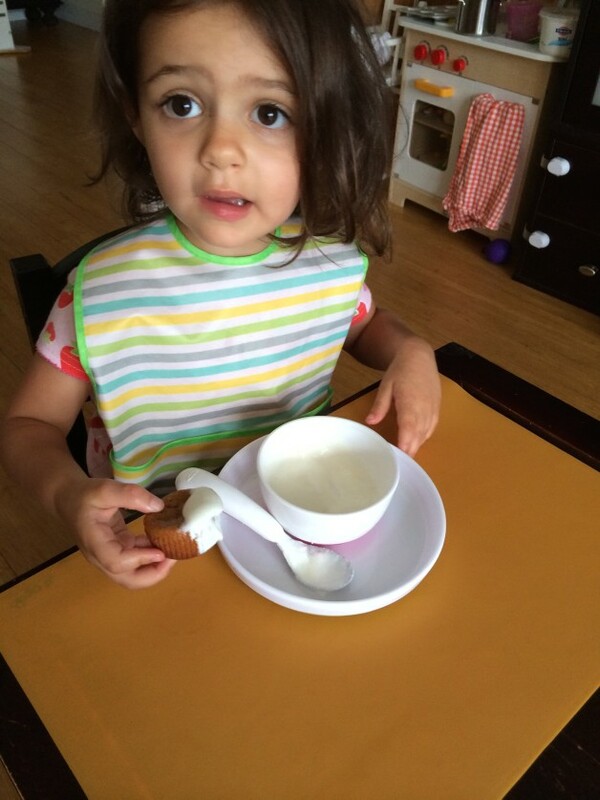 Sometimes I serve them accompanied by Sweet Yummy Yogurt Sauce which she loves to use as a dip. But first, we start by peeling off the wrapper. All hell breaks loose if I make the mistake of doing this step for my independent little lady. I dip. You dip. We dip. It really is very tasty. Don’t knock it till you try it. 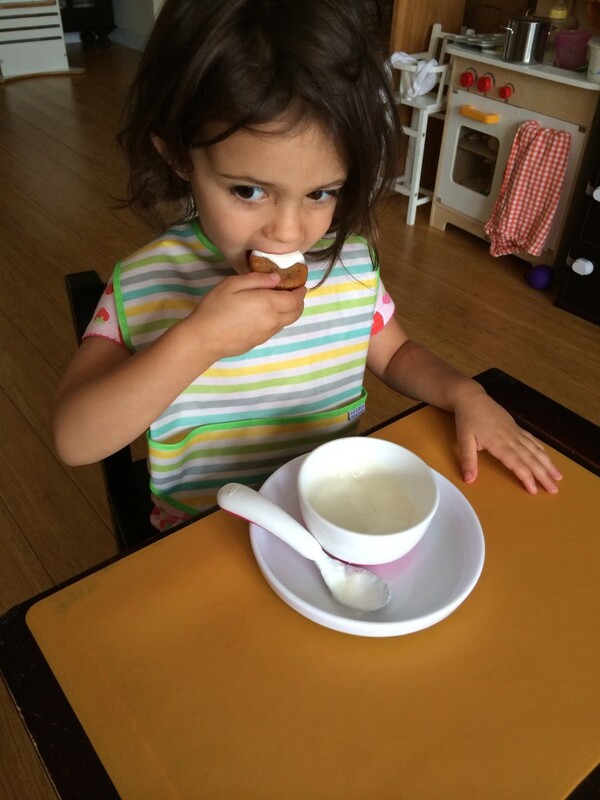 Quick and Hearty "Rice Pudding"
These are so cute! I bet they are perfect for breakfast! Thank you! We love them for snacking on the go, too!